Box Office Breakdown! Black Panther Reins! Tomb Raider Disappoints! Love, Simon Number Five! I Can Only Imagine Shocks! And More! Box Office Breakdown! Black Panther Reins! Wrinkle In Time Disappoints! Red Sparrow Flounders! Strangers Did Well! And More! Box Office Breakdown! 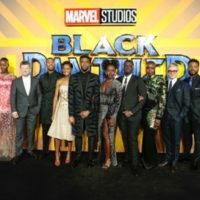 Black Panther Scores At Number One! Red Sparrow Sputtered In At Second! Death Wish Lost It’s Pulse At Number Three! And More! Box Office Breakdown! Black Panther Blows Up! Game Night Solid Number 2! Annihilation Misfires! and More! 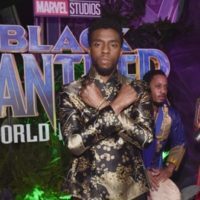 Black Panther destroyed the competition, snagging another $108 million in the top spot. Game Night was a winner, opening at number two with $16.6 million. Peter Rabbit nibbled his way to number three with $12.5 million. Annihilation was invisible, opening at number four with $11 million. Box Office Breakdown! Black Panther Number One! Peter Rabbit Holds! Fifty Shades Falls! And More! 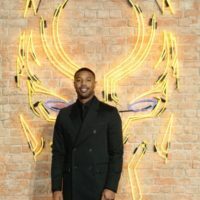 Black Panther slashed the competition, opening with an astounding $192 million! Peter Rabbit held strong at number two with $17.2 million. Fifty Shades Freed got beat down to number three with $16.9 million. Jumanji: Welcome to the Jungle rumbled at number four with $7.9 million.